Pick the Right One: Peaches! 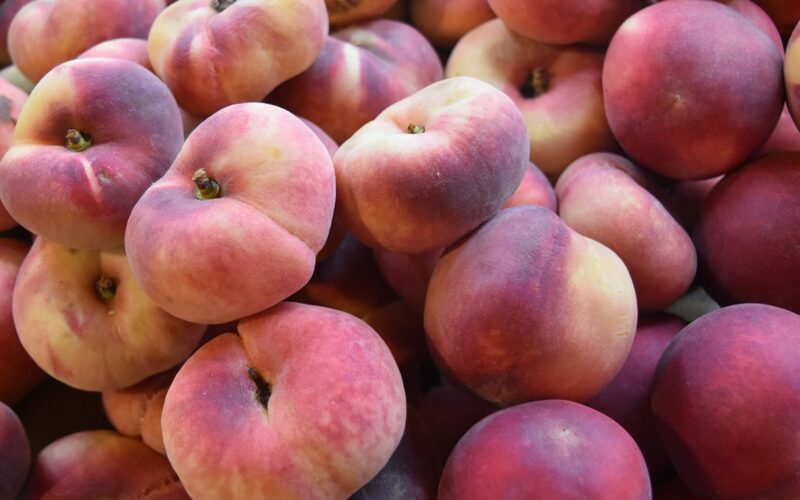 Calling the peach “white” refers to the inside flesh – but these delights are also distinguishable from the outside, as they paler and pinker than yellow peaches. White peaches have a sweet flavor and are more delicate, making them more prone to bruising. We recommend enjoying them fresh and simply, like with ice cream! Yellow peaches are most likely what you picture when you dream of peach season. They have warm, golden inside and deep reddish outside. When you eat them fresh, make sure they are ripe and ready! You can use less ripe ones to cook with, the heat will soften them and release their sugars, making them super sweet! We recommend enjoying yellow peaches with savoury flavours – check out our recipe for our char-grilled peach salad with prosciutto here. These little peaches have been popping up around our Market over the last few weeks, grown right here in SA! They have a light flesh and super sweet flavour. PSA: They are slightly less prone to dripping! Although some people think nectarines are different to peaches, they are almost genetically identical, except for their fuzzy skin! Just like peaches, nectarines come in white and yellow varieties and are just as delicious to enjoy this February! Happy 60th Con’s Fine Foods! 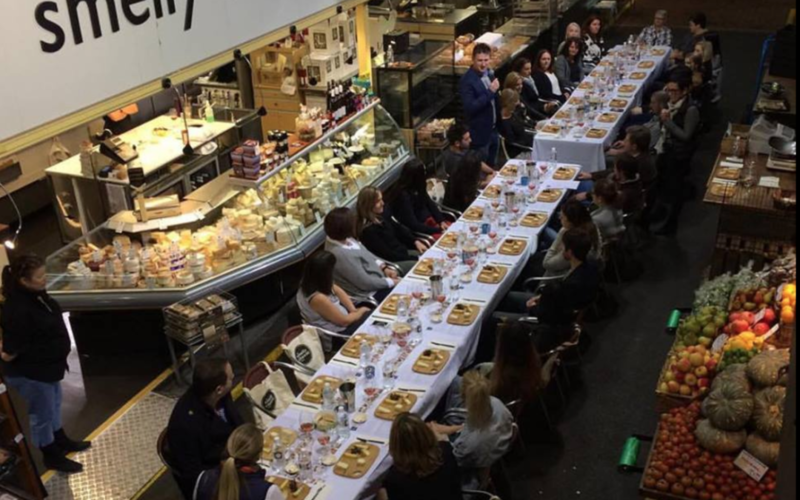 Cons Fine Foods this year celebrate 60 years in our Market! 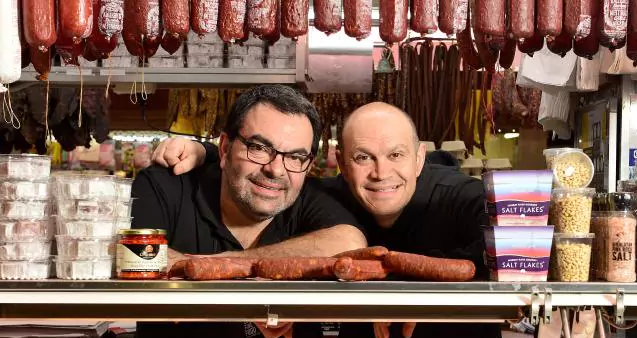 It was 1959 when Con Savvas set up Cons Fine Foods, seeing an opportunity to sell European cheeses and continental meats to the migrant community. To celebrate this milestone, Cons Fine Foods will be launching their antipasto cones – be one of the first 60 people to say “Happy Birthday Cons Fine Foods” on Friday 22 February 2019 from 6pm to receive your cone for free! Its their way of saying thank you to their loyal customers. Welcome to our new Producer in Residence… Cakeboy Donuts! We are thrilled to welcome Cakeboy Donuts to our Producer in Residence Stall! 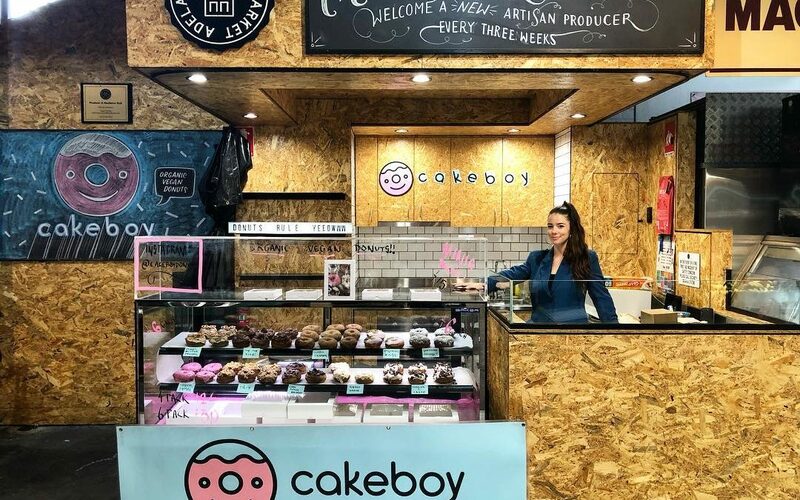 Rolled and raised by owners, Jules and Erin, Cakeboy is offering a vegan and organic alternative to your regular donut! The donuts are also refined sugar free, until you put the icing on. The team have an incredible range of regular donuts like Twix, Peanut Butter Pretzel and Chocolate, but they also create amazing limited editions through the week. Visit them today – they are in our Market till 2nd of March! 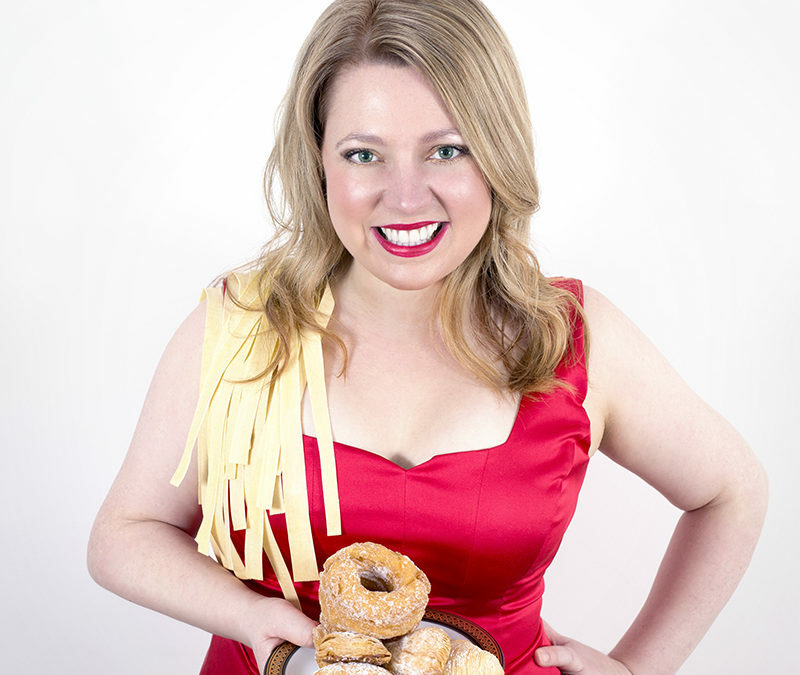 Australia’s singing cook Michelle Pearson, returns to the Adelaide Central Market to present her award-winning musical food sensation, Comfort Food Cabaret for five shows only! You’ll be serenaded by the soulful songstress as she creates a delicious menu with produce from the market traders and you’ll taste each dish. Prepare to be delighted by Michelle’s indulgent cooking, her soulful sound and her heartwarming renditions of popular music accompanied by Foodie-Maestro, Aaron Nash and the bar by the Olive Tree. Direct from acclaimed performances at Copenhagen’s three Michelin star restaurant Geranium, Edinburgh Fringe, Adelaide Fringe & Tasting Australia and with the help of her Maltese Kitchen Queens, Loren Quinn and Rhiannon Groutsch, get ready for new recipes and a delicious serving of comfort food and cabaret.